The Pennywells had sold their Alabama plantation and decided to move to Texas, bringing with them Pad Pennywell and his family. However, on the way to Texas, the group are confronted by bandits and Pad is recruited to their ‘clan’. Many years later, a young journalism graduate by the name of Louis Bankston, visits Pad Pennywell and inquires after these bandits. Thus, the story is relayed as a retelling of Pad’s life before and after the run in with bandits. Pad Pennywell is a story of the conflicting morals and struggles of working as a ‘clean-up’ man for bandits to keep oneself and one’s family alive. As an elderly Pad Pennywell recounts his story to Louis Bankston; it immerses the reader in a similar way as if it were a relative talking about their past. As such the story has all of the natural tangents that someone telling a story face to face would take. Such as when Pad talks about falling in love with his wife, Ruby, or talking with the townspeople, or saying a prayer for the people he ‘cleans up’ after working with the bandits. The narrative course Patrick Horn, the author, has chosen gives the story a sincere quality as if it were being told to them on Pad’s quiet porch in Alabama, in person. Using this technique of having the main character relay their story, means that all the details are incredibly graphic in their descriptions, especially when Pad talks about death or bodies. As the ‘clean up’ man, Pad has clearly suffered trauma, and this is illustrated in how he speaks of bodies and death. He describes the sound of the air escaping a lung after a bullet to the chest, and the stench of putrid, bloating bodies at the bottom of a well. This gives so much depth to Pad as a character as it is easy to see the stain that these events have left on his mind through how vividly he describes every aspect. Unlike many novels, there is no omnipotent narrator. We only know what the protagonist knows at that time. However, as it is a retelling, the protagonist sometimes chooses to reflect more on certain aspects of the past or give the reader a snippet of what is to come, for instance describing John West, a bandit leader, as someone he would come to know very well. This leaves the reader wanting to know what happens next and how the protagonist came to know what he knows in the present. Simultaneously, this leaves the reader with as little knowledge of the events as he the protagonist himself had as the events themselves were unfolding. Consequently, this achieves a great level of empathy from the reader for the protagonist. This book gives an intense representation of a character and their experience with conflicting morals. 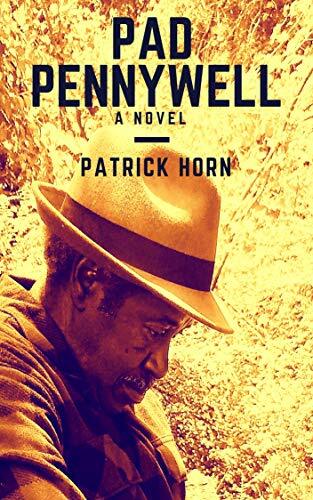 The author, Patrick Horn, gives a great amount of depth to the character of Pad Pennywell as we follow the story he tells us of his struggles from Alabama to Texas.